Positive Reviews August - "Artists Beware"
She was quick, the quality is good, she's really good with limited directions and she was great about the few edits I asked for at both sketch and colored stages. 4. 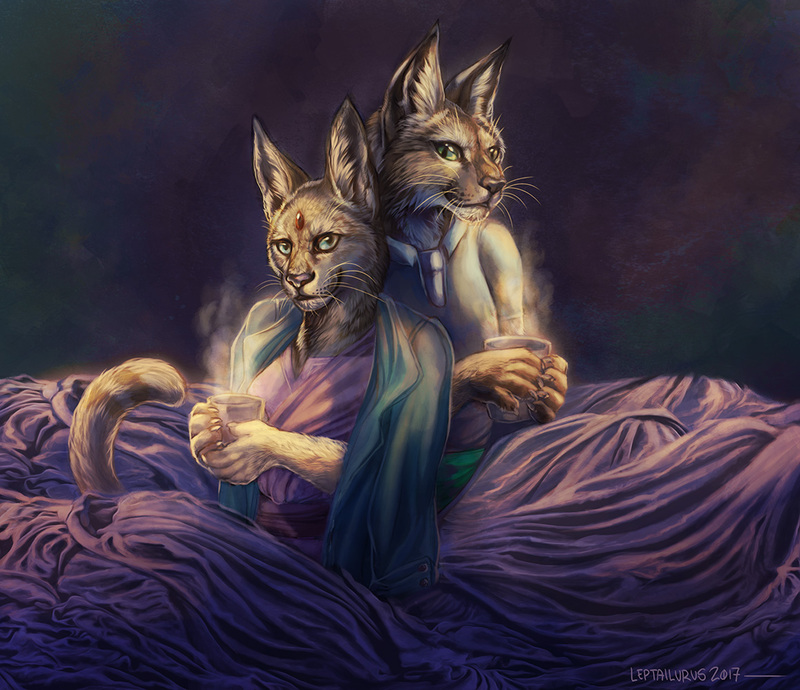 Details: I opened up for $10-$15 head and neck shot commissions, and Xella responded quickly with an email and refs for her ESO Khajiit, then sent payment once I confirmed her spot very quickly. She was more than willing to send an extra $5 for the shading upgrade and complex markings. 4. Details: Cat also responded to my $10-$15 commission openings, and requested a $15 commission of their feline character. Their initial email was succinct and included the reference as an attachment. Once I confirmed their spot, payment was prompt, as was all following correspondence. They were quick, the quality is great, they contacted me with WIPs and were good about making the edits I asked for. They didn't have a TOS but were able to answer my questions professionally and we came to an agreement quickly. Overall I'm very happy with how the finished product looks and how the process went. Ordered a simple chibi ref sheet from them. I've ordered from them multiple times and theyre always quick, polite and super professional. Willing to work with their customers and get things perfect. Never had any issues with buying from them what so ever, and even when art isnt ridiculously fast, it's still much faster than mos artists. Time frame of business: Celestina opened for her August sketch commissions on July 28th. The piece itself was finished and posted to her gallery yesterday. Oh, no, thank you! You were an absolute pleasure to do business with! I thought I had posted this a few months back, but apparently I didn't. Fixing that now! Details: Lep was offering PWYW icon/portrait speedpaint commissions. I asked if she would be willing to do a bust portrait like some of the older examples in her gallery and she agreed. I watched her start work on the portrait via stream, but it was cut short due to a power outage. On a later stream she asked me if it would be okay for her to ink my commission traditionally as she wanted to achieve the same look that it give her current art. On stream again some days later she showed me the inks. Two days later I was able to watch her finish the art. She really went above and beyond Very great artist to work with! 4. Details: Second commission I’ve gotten from Lep and just like the first, she did an amazing job. She is very flexible with working outside her listed commission types if they don’t suit what you are looking for. I asked for a two character half body piece with a simple background. It was between her half-body full illustration and simple bust portrait types. She only asked me for the price of the simple bust + extra character (I paid a little more as a tip). Even then she packed a lot extra of detail into the piece. She is a great artist and great to work with! 4. 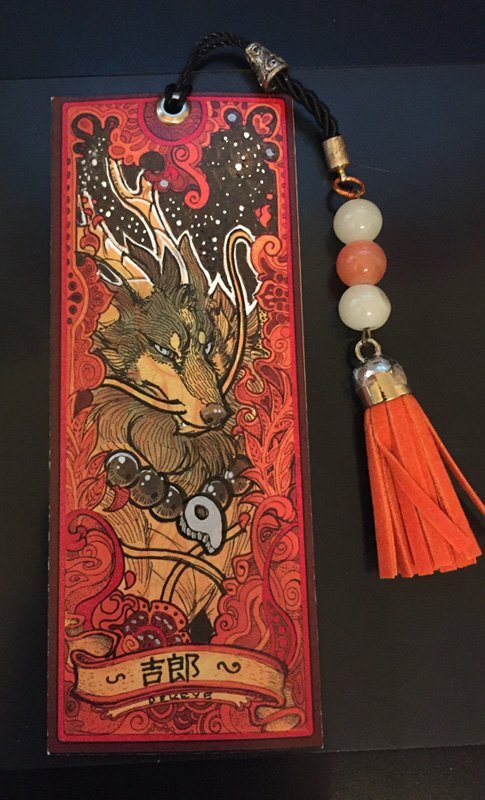 Details: Chutkat was offering Limited Edition Bookmarks commissions. She made a card/bookmark template that she printed out in different colors and then would draw your character on the card of your choice, with traditional media! I couldn't pass up the opportunity. Since the character I chose had a Japanese name she asked me if I wanted it the name written in Kanji. (I said yes and was totally glad I did). Very quick turn around and very professional! (this was my second commission from her).